"It's a rough patch I'm going through," says Chris Dodd. How rough? Not long ago, Dodd entertained dreams of ascending to the White House. He moved his family to Iowa in 2007 and enrolled his daughter in a Des Moines public school, all in the hope of winning the state's caucus. He gave solid (if never spectacular) performances in debates while fund-raising prodigiously. And, though he didn't vault into the top tier of candidates, he managed to end his bid for the presidency with his long-standing reputation as a serious player in Democratic politics basically intact. Today, Dodd--five-term senator, established Washington powerbroker, the man whose "magnificent handshake," The New York Times gushed two years ago, is "the grip of a pro, a ... political pro, which he is"--has been reduced to shoring up his liberal bona fides by railing against credit card companies on a blog called My Left Nutmeg (motto: "Where Connecticut Dems Scratch That Progressive Itch"). Despite representing a solidly blue state, he is, in his own words, an "underdog" in his reelection bid--perhaps the most vulnerable Democratic incumbent in the Senate. His approval rating has plummeted to the low 30s, and he trails Rob Simmons, his likely GOP challenger, by an astonishing 16 points. The source of Dodd's problems is simple: He has become a symbol of Wall Street's grip on the federal government. Having served on the banking committee since 1981, and as its chairman since 2007, Dodd is one of the Senate's largest recipients of campaign contributions from that sector of the economy. Last summer, allegations emerged that he had received an especially sweet rate on his mortgage from one of the culprits in the subprime mess. And, in March, he managed to become wrapped up in the AIG bonus scandal, with critics blaming him (more than a bit unfairly, it turns out) for having maneuvered in Congress to protect the controversial bonuses. The case against Dodd may be a left-populist one, but Republicans have been more than happy to pile on. Simmons boils down the critique to a single catchphrase: "Chris Dodd has gone Washington." But the commonly held perception of the Connecticut senator as an entrenched, almost anachronistic pawn of moneyed interests misses a critical layer of complexity. Dodd's public life has been shaped by the hovering presence of his father, Tom Dodd, who was drummed out of the Senate in 1970 after being censured for misusing campaign funds. The son, who arrived in the Senate ten years later, has spent his career pulled in two opposing directions: on the one hand, following in his father's footsteps by becoming one of the Old Bulls ensconced in Washington's corridors of privilege, the image that is now causing him such political headaches; but, on the other hand, presenting himself as the very antithesis of an old-style senator--a changemaker, a populist, an insurgent. Dodd, it seems, has never entirely decided whether he wants to be his father or what his father was not. Now, his political survival depends on his ability to present himself as the latter--and escape the ghost of Tom Dodd once and for all. In a photo included in Letters from Nuremberg: My Father's Narrative of a Quest for Justice, Dodd appears as a toddler sitting on the lap of a silver-haired man bearing a heavy brow line. "Tom with son Christopher, whom he called his 'shadow,' because he followed him everywhere (even, eventually, to Washington, D.C.)," the caption reads. The descendant of working-class Irish immigrants and a staunch Catholic, Tom Dodd projected the image of a prim and proper gentleman, favoring bow ties and carefully combed-back hair. Having risen to fame as a prosecutor--most notably at the Nuremberg trials--Dodd came into the House in 1952, then the Senate in 1958, with an impeccable reputation. In Congress, he quickly established himself as a hardline anti-communist who was an ardent supporter of the Vietnam War and the installment of strongman Carlos Castillo Armas in Guatemala, for whom he had once been a paid legal adviser. Though the elder Dodd did take some liberal stances--he championed gun control, for one thing--his foreign policy views and moralizing against the "broads, bosoms, and fun" of popular culture placed him toward the conservative end of the Democratic Party. Dodd quickly ascended to the leadership of key Senate subcommittees, and President Johnson even considered selecting him as a running mate in 1964. But his rapid rise came to a halt in 1966, when he was accused of taking personal money from dinners billed as political fund-raising events and accepting free use of automobiles, among other misdeeds. Dodd stalwartly denied that there was anything sinister about the perks and funds he had received; after he was censured by the Senate, Time concluded that his most persuasive argument had been "that his colleagues judged him by standards that are unwritten and unresolved." When Democrats refused to nominate him for reelection, Dodd ran as an independent, bringing his son on board to assist with the campaign. In the end, he won just 25 percent of the vote and died of a heart attack six months later. Only 26 years old at the time, the younger Dodd always regarded the entire episode as deeply unjust. But that didn't stop him from seeking to return to the place that had destroyed his father. With the support of his friends and father's allies, Chris ran for a Connecticut House seat in 1974 and won the election handily. Given what befell his father, he was especially scrupulous while fund-raising for that race. "He recognized that he had to be holier than Caesar's wife in terms of his fund-raising and his approach to politics," his first campaign finance chairman told NPR. Six years later, when he ran for the Senate, he made clear that he wanted to take up his father's legacy. "I felt the presence of my father very strongly," Dodd said in his 1980 acceptance speech for the Democratic nomination. At his Senate swearing-in ceremony, Dodd wore his father's pocket watch fob and sat in his old chair, then later hung a large oil portrait of the patriarch in his office. "I had a great deal of respect for public service and my father's work in his life," Dodd tells me. "A great deal of respect and a rough ending, as you know--I was mindful of that as a child and a son." Upon entering the Senate, Dodd set his own course as a legislator, staking out positions antithetical to his father's record as he firmly aligned himself with the progressive wing of the party. As early as 1983, the right-wing publication Human Events called his political career an "odyssey from liberalism to far left." Whereas his father had been a staunch anti-communist, Dodd broke from the center of the party by opposing aid to the Contras as a "deal with the devil." On the domestic front, he made his reputation as a dyed-in-the-wool liberal by authoring the Family and Medical Leave Act and engaging in a decades-long push for credit-card and bankruptcy reform. "All the money and all the power was on the side of the credit industry," says Elizabeth Warren, head of the Congressional Oversight Panel for TARP. "A lot of people thought this was an easy one to give to the banks. ... Dodd did what was hard, but what was right." And yet, as a longtime member of the Senate Banking Committee (and its current chairman), Dodd has also become fully immersed in the world of deep-pocketed donors and Beltway privilege--the same world that brought down his father. A former legislative aide told the Times in 1991 that the senator has always tried to play it both ways, "with one foot in the front door, the progressive room, and one foot in the back door, the smoke-filled room." Dodd's connections to the old Senate establishment helped fuel his rapid rise as a legislator. Shortly after arriving in the Senate, he fell in quickly with some powerful former colleagues of his father, including then-Finance Committee Chairman Russell Long. "People helped Chris because of his father--he kind of had a head start," says Connecticut AFL-CIO chairman John Olsen, a member of the state Democratic committee at the time. Dodd's skill at working the Senate's back channels led him to become a key dealmaker in ways that at least partly aligned him with powerful interests. In 1999, he played a pivotal role in the passage of the Gramm-Leach-Bliley Act, which allowed commercial and investment banks to consolidate. Dodd wasn't one of the architects of the bill, but he was asked to intervene when the legislative debate had reached an impasse. "It was late at night, everybody was tired--we needed someone in the room to get the sides to stop bickering and work it out," says Ed Yingling, president of the American Bankers Association, whose own father had lobbied Tom Dodd in the 1950s when the senator was on the banking committee. "He's a guy that people can rely on to bridge differences." Just a few years earlier, in 1995, Dodd had been the chief Democratic sponsor of a bill that shielded corporate law firms and accounting firms from class-action lawsuits--a central plank of Newt Gingrich's Contract With America. Now, his reputation for a certain coziness with big business and the Washington establishment is coming back to haunt him. When allegations surfaced last year that Dodd had received a preferential rate from Countrywide, he insisted that the VIP treatment was a courtesy for anyone with top-notch credit. Much like his father, Dodd will have committed a cultural and ethical transgression, not a criminal one, if the allegation ultimately proves true. Even the head of Citizens for Responsibility and Ethics in Washington (CREW)--which filed the complaint behind the Senate Ethics Committee's investigation into Dodd--says she doesn't expect him to be found guilty of any serious wrongdoing. "They will probably use it as a teaching moment to reiterate rules about gifts," says Melanie Sloan, CREW's executive director. "The ethics committee has taken much less action on much more serious violations." But, as the economy went into free fall, the $75,000 that Dodd saved through Countrywide came across as an egregious affront to Connecticut voters. And Dodd only compounded the problem by being slow to release the paperwork behind the deal. Then, in March, Dodd became the prime target in the popular uproar surrounding the bonuses given to AIG employees. 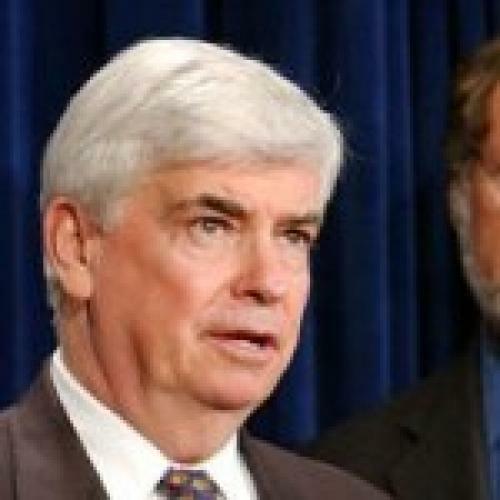 Dodd originally had written an amendment to curb the payments, but the Obama administration pressured him to change the wording and let the bonuses through. Dodd flubbed his response in the media--first denying that he had anything to do with preserving the bonuses, then revising his story after his involvement became apparent. The charge that he was simply in the pocket of AIG was clearly unfair. But Dodd's status as the leading recipient of AIG campaign money, on top of the Countrywide scandal, only reinforced the mounting public perception that he had grown too close to the financial industry. Connecticut Democrats, not surprisingly, are starting to panic. "[Voters] feel that he hasn't really properly explained himself to people who are critical of the accumulated events," Nick Paindiris, a member of the state Democratic committee, told National Journal last month. "It's a real problem that, in my judgment, will not go away." "He was charged with no crime," Dodd has written of his father, "and broke no law. ... He always argued that he had done nothing wrong. But the job that he adored was gone." As he scrambles to escape the same fate four decades later, the younger Dodd is trying mightily to put a positive spin on his recent travails--telling me recently that he felt he had caught something of a break by becoming enmeshed in controversy so early in the election cycle. "I'm getting prepared and ready probably earlier than most," he says. "This is, in a sense, a gift--to know what it's like." Then again, after witnessing what happened to his father, Chris Dodd probably shouldn't have needed the reminder.